I've been feeling really inspired lately and one of the things I've been particularly drawn to has been grey hair - combined with lilacs, silver tones and blues I just absolutely love the effect it creates, especially with a monochrome outfit. I was tempted to do this but I was worried it would make me look even more pale than I already look! I think it's a great look. An ombre grey to lilac would be fabulous. If you're up to the challenge of the upkeep of it then go for it. I absolutely love grey hair, it's a shame that it's so difficult to achieve and maintain! Beautiful images! 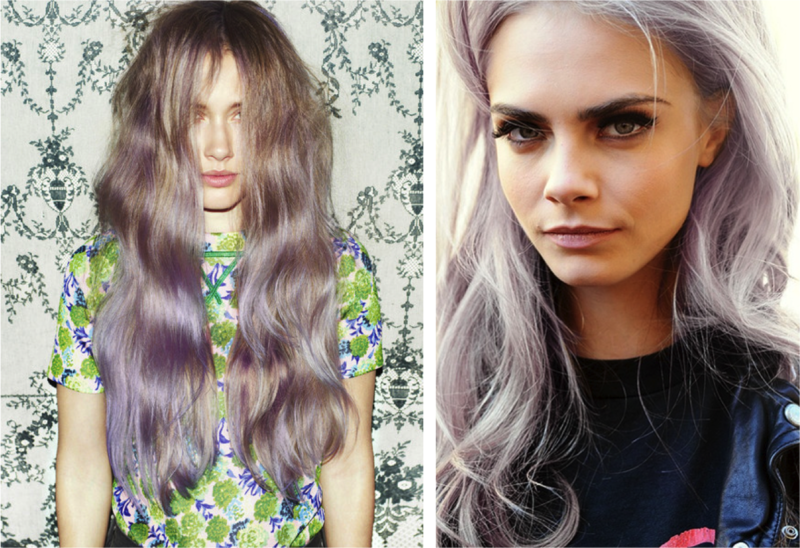 I want to dye my hair grey/lilac so bad (or ginger, but that's not relevant!) but as I wear extensions I'm worried they'll dye a different colour to my hair!! 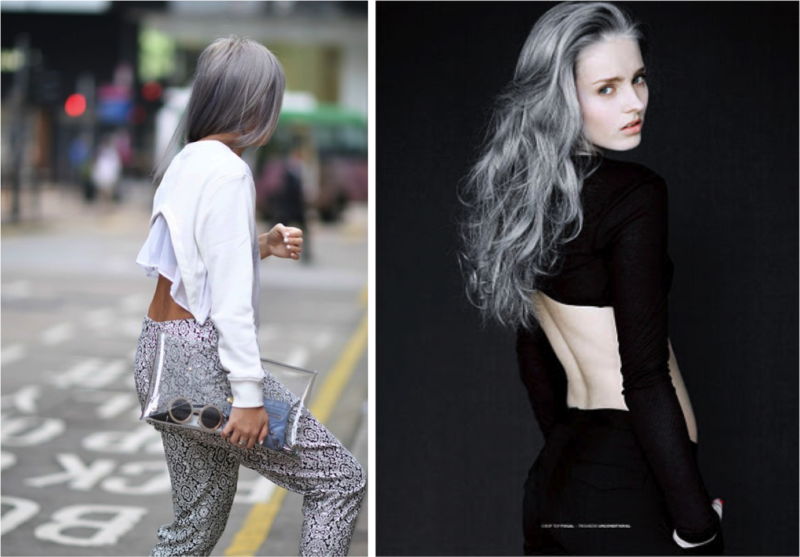 Definitely loving this grey hair trend! Really wishing I could pull it off!